When I was in college, knowing I was never going to get a decent literature background, I made sure to read 'good' books on my quarter breaks. I started with Crime and Punishment because I had never gotten through it when it was assigned in high school. In a couple of years, I had managed to fill out my reading list pretty well with Hemingway, Dickens, Austen, Dostoevsky, Nabokov, Updike and more. But there were still holes in my self-education so for National Just Read More Novels Month I took a $20 Groupon down to the local used book store and stock up. And while I didn't get through everything (The Picture of Dorian Gray stopped me dead in my tracks), I now feel at least as well read as the typical high school sophomore. I first read any Steinbeck at all when my son was in high school and he was assigned The Pearl. Just recently on a trip I read Travels With Charley (reviewed here) but I felt I was missing the essence of Steinbeck. 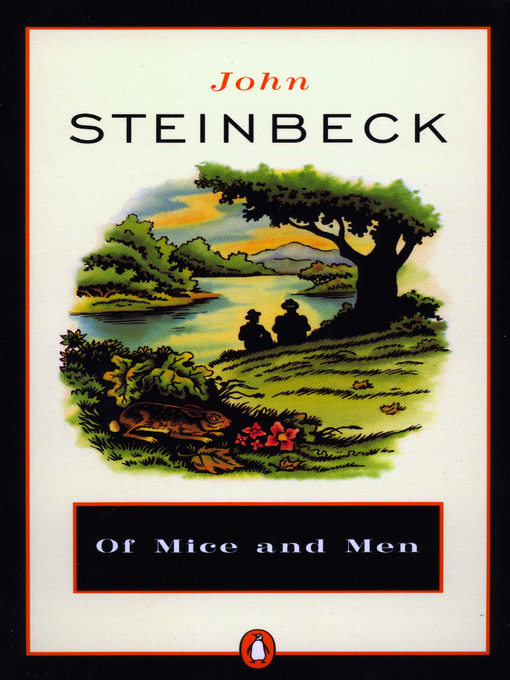 Not wanting to tackle The Grapes of Wrath, I decided on Of Mice and Men which was a good call. I found the story gripping and a fascinating character study. The book is quick and breezy but not simple. There is plenty of nuance. And the ending is, of course, heart breaking. The relationship between George and Lenny is one of the more complex ones for a book this short. The protectiveness over the mentally challenged lug is misunderstood by the other characters. And of course it has one of the saddest, most tragic ending in literature. Often parodied, the original work is just heart-wrenching. Of the books that are immediate metaphors, Ernest Hemingway's The Old Man And The Sea is one of the most famous. The entire book, novella really, is all about Perhaps the most widely read book I have never read, in places it reads almost like Hemingway parody. Or perhaps this is the genius of Hemingway. 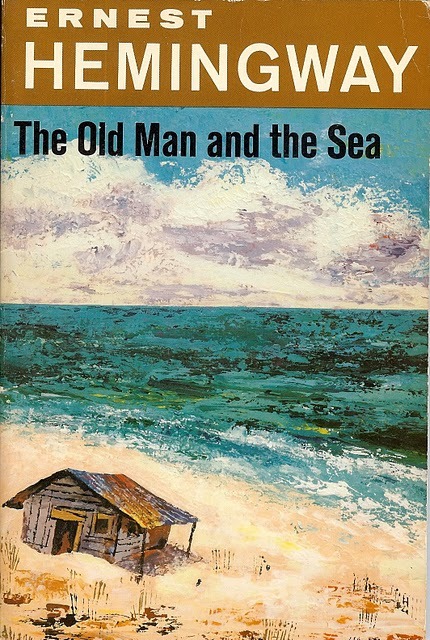 The titular old man goes fishing and snags a huge swordfish. The rest is an exercise in irony. Is it a spoiler to say that the fish doesn't make it back to the beach. The story is compelling but it just seems so completely over the top with machismo in today's society. Perhaps this was blunt and new when the book first came out but now it seems dated and silly. 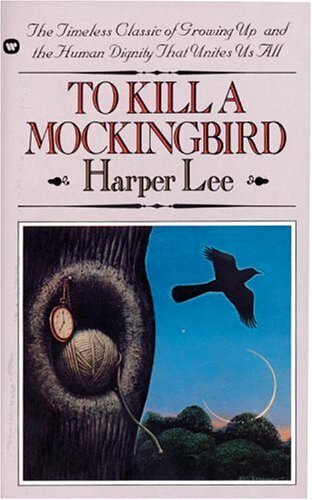 To Kill A Mockingbird is by far the biggest omission from my middle school reading list. I'm not sure how one gets a high school diploma without having ever read it but I did. The appeal of this book to English teachers is how brain dead simple it is to write an essay about. Everything, and I mean everything, is literally black and white. The good guys are great and the bad guys are genuinely evil. The Harper Lee novel is more interesting as a historical document. Like another classic Southern novel, Gone With The Wind, it was the sole notable work of a woman describing a particular era. In the case of To Kill A Mockingbird it is the Civil Rights era South rather than the antebellum version. It deals in a revealing way with the casual segregation and racism is way that seems dated to the modern reader. What was obvious to the reader of the 1960s is now perplexing. Also is the odd literary coincidence that Harper Lee's childhood friend and inspiration for the character of Dill Harris is noted writer in his own right Truman Capote. Much speculation has been done on how much, if any, influence he had on the book. Not having read any Capote I suspect that it is some but not a lot. Decades ago I read The Electric Kool Ade Acid Test by Tom Wolfe which is the New Journalism take on Ken Kesey's role in the formation of 1960s counter-culture. 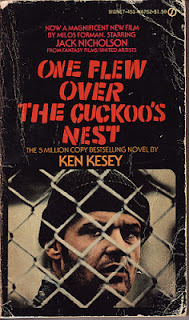 Surprisingly, I have never read One Flew Over The Cuckoo's Nest, the book that catapulted him to fame. Like all the previously mentioned book so far, it is imposible to not know of this particularly in light of the equally famous Jack Nicholson movie. Having never seen the movie either (much like To Kill a Mockingbird) I was able to read the book with a minimum of prior prejudice. While I knew the broad outline and the characters, the book exceeded expectations. In particular the framing device of having the story told by The Chief. It adds a certain hallucinogenic quality to the narrative. And of course, Randle McMurphy and Nurse Ratched are two of the best characters invented. One a joking trickster and one a controlling authoritarian of the highest order. The conflict between the two sets up a war of wills. 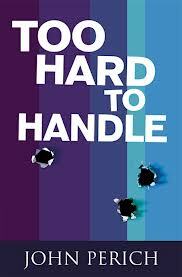 John Perich is one of the contributors to the website Overthinking It and Too Hard To Handle is his second book, a sequel to Too Close To Miss. Mara Cunningham is a Boston-based photojournalist whose deadbeat criminal brother comes back to town. Soon a cop is dead and her brother is seen on surveillance tape. This leads Mara on a hunt to find her brother before the cops do. But the story is more complicated and there are secrets people don't want uncovered. In both the Boston setting and the gritty realism, the world of Dennis Lehane is evoked. There is a reason that most thriller series feature people in jobs which brings them into contact with the underworld. In trying to expand the Mara Cunningham series, the problem for Perich it to come up with additional plots which raise the stakes while creating a sense of intrigue. In the realm of Southern Gothic literature, A Member of The Wedding by Carson McCullers is one of the of archetypal works. Working in roughly the same small town milieu as To Kill A Mockingbird, it is the story of tomboy Frankie Adams whose brother is getting married. Like Mockingbird, there is a black housekeeper and a junior sidekick cousin. However, the story is much more nuanced and complicated. The first part of the book is all about Frankie buying a dress for the wedding. While wandering around town, she meets up with a soldier on leave who is unaware how young she is. When she later meets the soldier at the bar and he takes her up to his room, her naivete about the situation she is in becomes extremely uncomfortable. It's an oddly disturbing book featuring an unreliable juvenile narrator. The wedding itself is only described in flashback. 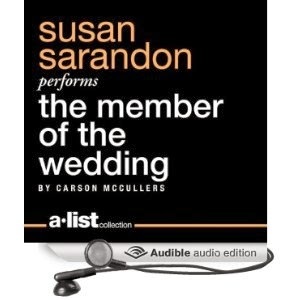 This particular audiobook was narrated by Susan Sarandon who adds a delightful southern lilt to the story.